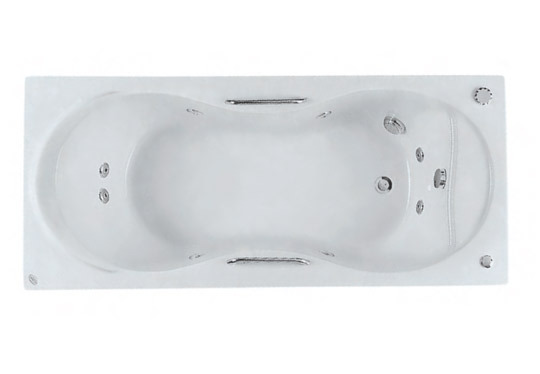 Range of bathtubs has been created to adapt in different bathroom areas , whatever there style or size is. 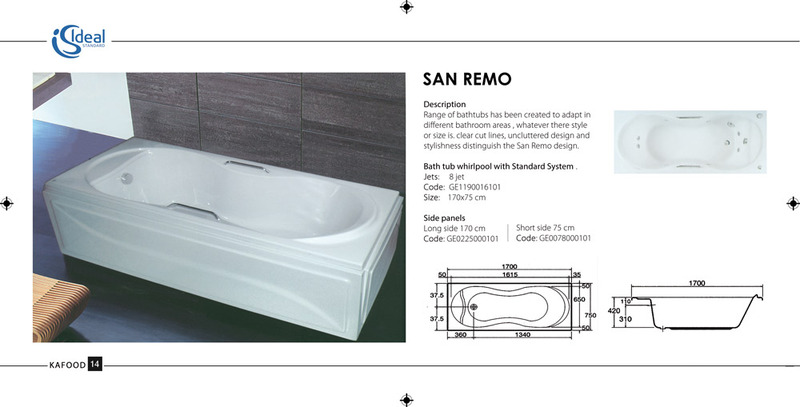 clear cut lines, uncluttered design and stylishness distinguish the San Remo design. Bath tub whirlpool with Standard System .